The HYATT house White Plains is a159-room all suite hotel located in suburban Westchester. Our 1-bed and 2-bed/2-bath suites feature fully-equipped, full-size kitchens, ice-maker, sleeper sofa, ironing board/iron, private voicemail and high speed internet access. Complimentary daily breakfast, social hour Mon. thru Thurs., daily hskpg, fitness cntr, laundry fac & 24-hr convenience store. PET POLICY: 1-6 NIGHTS A 75 NON-REFUNDABLE FEE. 7-28 NIGHTS A 150 NON-REFUNDABLE FEE, 30 OR MORE NIGHTS A $200 NON-REFUNDABLE FEE. MAXIMUM OF 2 DOGS PER ROOM ARE PERMITTED, 2ND PET IS AN ADDITIONAL $50. WEIGHT MUST BE 50 LBS OR LESS MAX OF 75LBS PER RM. FEES ARE IN USD. Situated in the Westchester Corporate Park. 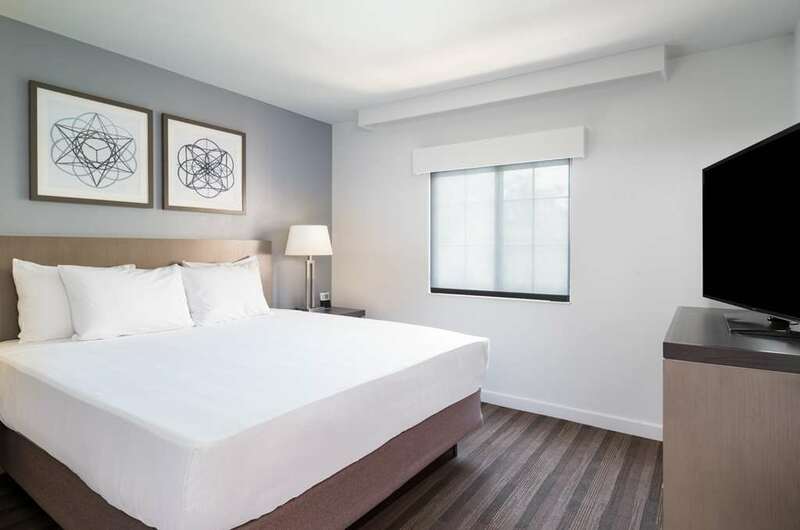 HYATT house White Plains is just off I-287, with convenient access to White Plains, Stamford, and NYC malls, restaurants, and historic attractions. Our spacious suites are geared for work or relaxation. Pets are welcome and shuttle service is available to local eateries.